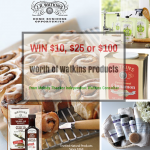 Congratulations to all the winners of the Watkins products giveaway! The winners have been selected and contacted. I’m excited to hear back from them and can’t wait to send them their free products. Everyone who entered received free eBooks filled with tips and ideas plus recipe sheets to make their life easier! 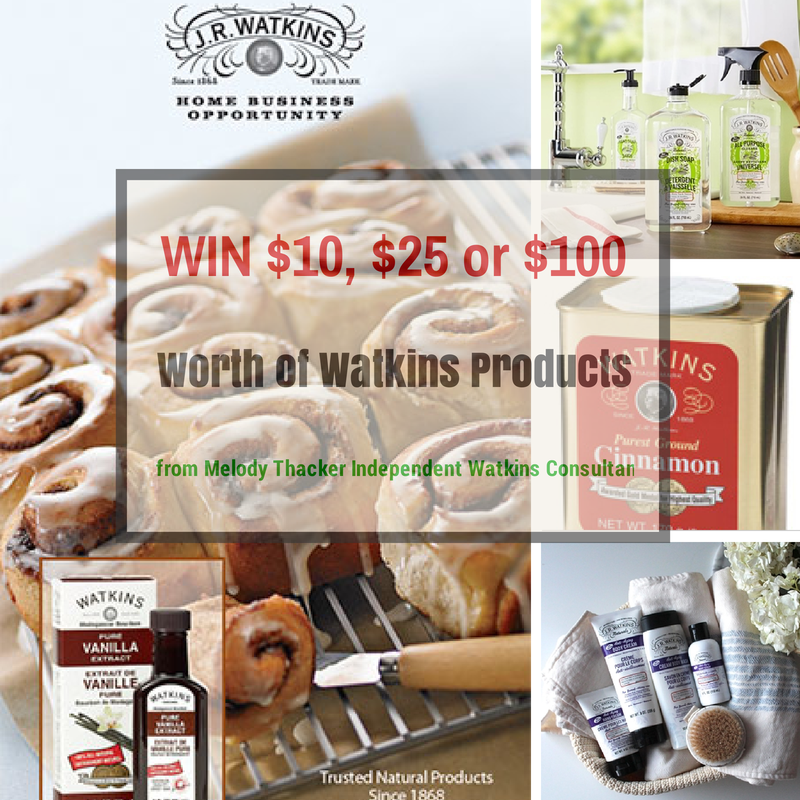 And the Grand Prize Winner Entry #92 Nancy K. One Gift Certificate for $100.00 worth of Watkins products! Thank you to everyone who entered, and shared this give-a-way! Your interest and support is very much appreciated. Natural products are becoming more popular every day as more people become aware that the ingredients they are made with may or may not be as safe as they’d like for their family, pets and overall health. Wouldn’t it be nice if you could get some awesome natural products to try for free? Prizes for this give away were FIVE Gift Certificates for my favorite natural products! You could have won a $100 Watkins Gift Certificate, one of two $25.00 Watkins Gift Certificates or one of two $10.00 Watkins Gift Certificates. Wow, with a gift certificate YOU can CHOOSE the items YOU WANT! 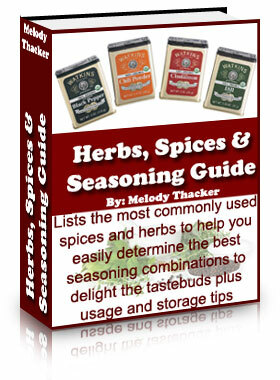 Enter to receive your copy of this free eBook, Herbs, spices and Seasoning Guide. New to Watkins? 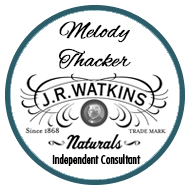 Watkins natural products are items that we all need and use in our homes every day, in every aspect of our lives. Essentials for your pantry, medicine chest, home care and personal care, all made with the world’s finest natural ingredients. You’ll find a wide-variety of household, health and beauty products, there’s bound to be something you need, want and love! Plus everyone who enters will receive free eBooks; the All Natural Cleaning Guide and the Herbs, Spice and Seasoning Guide pictured here and many more. 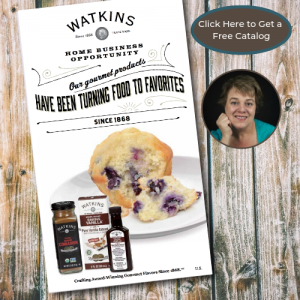 Everyone wins, when you enter you’ll have access to more than 20 free eBooks and downloadable recipes sheets all in pdf format. Filled will tips and ideas to help make your life a little easier. Everyone who enters will receive a free copy of the All Natural Cleaning Guide. I’m so excited for you and look forward to sharing my favorite natural products with you! 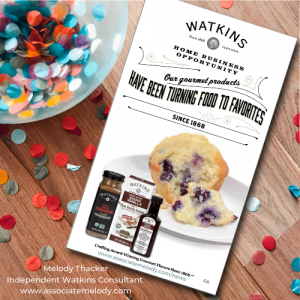 What are your favorite Watkins products? Please comment below or let us know if you’ve never heard of them before.